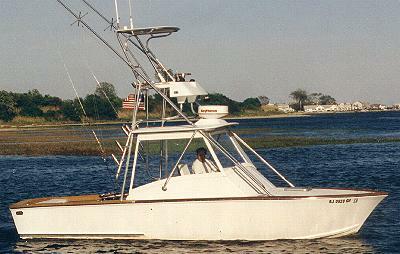 Please find enclosed photos of my version of your "Key West" which was built during 1997/1998 and launched this past May. Also enclosed is a specification sheet containing all pertinent information about the boat. Although I am somewhat of an amateur woodworker and have owned an maintained wooden boats for many years, I had never built a boat. I was very pleased with your plans and instructions. The boat performs well and is seaworthy. Please accept my many thanks for making this most rewarding experience possible.